Dual-use,liquid eyeliner and eye liner pencil combination. To enhance the shape and color of your eyes by using eyeliner. Easy to color, waterproof, long lasting, your eyes will looks larger and nicer. One side of Eyeliner, one side of Star/Heart shape Dot. 1PC Eyeliner Pen. 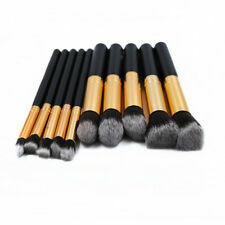 Cool black waterproof formula, quick-drying, do not faint, easy outline perfect line. the end of eye, and then painted from the eye to the central eye. Pores invisible. 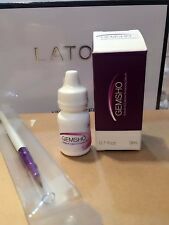 Unique transparent silicone gel base,present silky and natural skin via light reflection. Fresh gel texture let your skin breathe freely, no burden at all. Matte Looks. Suitable: All Skin Types. 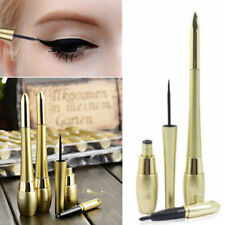 new Waterproof Eye Liner Eyeliner Gel Makeup Cosmetic Brush Black ONE SET. Package Includes:1 x Eyeliner Curd. Specially designed tip of the eyeliner glides on smoothly for the most precise control.